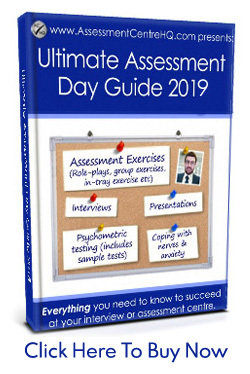 In this BDO assessment centre guide you’ll find practice tests, coaching videos and dozens of top tips, tricks & insider-secrets. Let’s get started! You can practice the BDO numerical & verbal reasoning tests here. This guide is for people who have already had their initial application accepted and are in the BDO recruitment funnel. We’re going to walk you through the whole process, both before and during the BDO assessment centre. If you haven’t applied yet, watch this useful video from BDO which will help get you started. For those of you that have already applied, let’s get started! Once your initial application has been accepted you will begin the long journey towards the BDO assessment centre. First of all, you will be required to sit some online ability tests. The competition for places at the BDO assessment centre is ferocious so BDO use these tests to quickly weed out unsuitable candidates. It’s a pretty brutal process (and some people argue it’s also unfair) but from BDO’s perspective it ‘works’; it makes their recruitment process more manageable and ensures they receive ‘prequalified’ candidates. Before you can sit the tests you will be sent some practice questions. These practice questions are not quite as innocent as they seem as your scores will be submitted to BDO and you must pass the practice tests, before being allowed to sit the real tests. This means one thing. You must practice before the practice! Different employers use different test suppliers. This is very important when you’re taking practice tests as the style, content and format differs from one test supplier to another. The BDO ability tests are supplied by CEB (formerly known as SHL) and you can practise the BDO ability tests here. We always recommend the above practice tests to BDO candidates as they contain full answers and explanations. This means you can very easily identify where your weaknesses are and then plug those gaps before taking the real tests. This boosts both your competence and confidence; it’s transformative for your chances of success. This is a standard numerical reasoning test. You will be presented with a wide range of numerical data in the form of ratios, tables, graphs and percentages. This is a multiple choice test but the answers tend to be very similar, so the ‘multiple choice’ aspect doesn’t make things much easier. There are 21 questions and you have 21 minutes. You will need to work quickly and with accuracy. It’s important to remember the tests are timed and you are being benchmarked against the other candidates so literally every second counts. Practice, practice, practice. 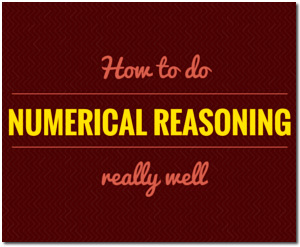 We’ve written extensively about how to pass numerical reasoning tests elsewhere on this site. You should check out our free guide on how to pass numerical reasoning tests. Insider tip: Practice multiple currency conversions as they will feature in your numerical test. This test will measure your ability to interpret written information. Expect to see dense paragraphs of verbose business-related text. You will need to digest and filter the info before drawing conclusions and selecting a multiple choice answer. You’ll have 15 minutes to answer 30 questions, so speed is very important. WARNING! Be careful when speed-reading the passages as some of the information can deliberately be easily misinterpreted. INSIDER TIP: Unlike most aptitude tests, these tests are not negatively marked. With this in mind, it is worth answering any remaining questions with a guess, if you’re about to run out of time. Again, your test provider here is CEB-SHL and you can practice the BDO CEB-SHL verbal reasoning tests here. You should read our free guide “How To Pass Verbal Reasoning Tests” for much, much more info on how to succeed in this area. There is no delay on your results, they will show on screen as soon as the tests are completed. If you pass, your next step is the First Round Interview. This interview is the last hurdle before the BDO assessment centre. The interview is competency based. You can find BDO’s competencies here. 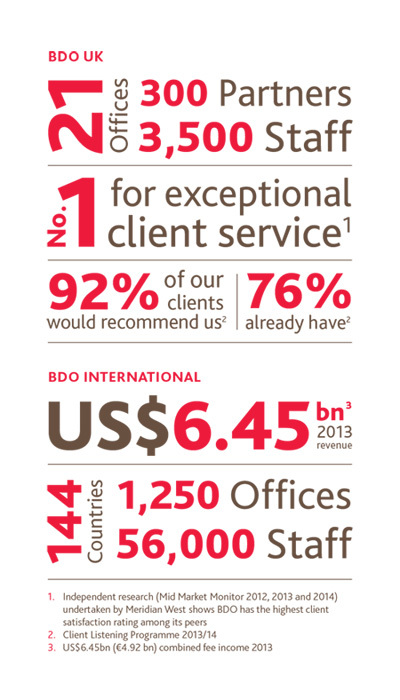 You can find BDO’s values here. Read and internalise the above language. You need to reflect this language back at your BDO assessor. This language needs to become part of your vocabulary. This is the ‘secret’ to seeming like an employee, before you’re an employee. Expect to see a short presentation upon your arrival. This will give you plenty of information about BDO. When the presentation is over, you will be interviewed by a manager. The BDO interviews at this stage are pretty relaxed and informal. (The second interview, at the BDO assessment centre, is more intense.) You’ll be asked questions about your initial application, your life, work and study history. The meat of the interview is the competency-based bit. You must have scenarios prepared that highlight examples in your past when you have demonstrated each of your role’s competencies. This is the whole point of a competency based interview. Tell me about a time you delegated responsibility. Tell me about a time you worked as part of a team and what you contributed. Tell me about a time you worked under pressure, how did you cope? To be able to deliver this well at your BDO interview (and later at your BDO assessment centre) you will need to rehearse your examples dozens of times. Again, practice makes perfect. BDO offer some great advice for sitting this interview. You can see it on their site here. There’s an entire section of this site dedicated to interview success. Check it out. If you get the call, to say that you were successful at your interview, you will be invited to the BDO Assessment Centre. Insider tip: You may be asked to sit an online personality test before attending the BDO assessment centre. Personality tests can be a daunting prospect but there are no right or wrong answers. It doesn’t output a ‘score’, it outputs a profile, and it’s very rare for any candidacy to end due to a personality test. You can learn more about personality tests here. Let’s take a quick break and look at some top-level stats about BDO. Impressive numbers, we’re sure you agree. Let’s press on and look at the BDO assessment centre. Your BDO assessment centre will be tailored to the position you have applied for. The exercises that candidates must perform vary from event to event. 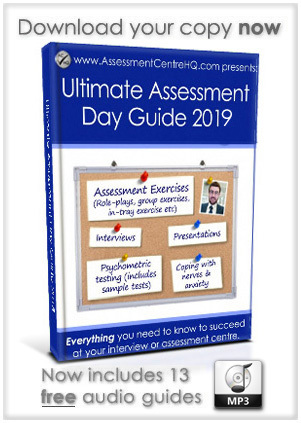 This guide aims to help all applicants so we’ve covered every BDO assessment centre exercise, but don’t worry, you won’t have to do them all. Do some research into the specific role you have applied for. Start by looking on the BDO careers site or make contact with the BDO HR team – don’t be afraid to show your diligence and hunger to succeed by finding answers. Once you know exactly what you will be facing, you can concentrate on the specifics. What will happen at the BDO Assessment Centre? The BDO assessment centre is the final stage of the recruitment process for one of the largest accounting firms in the world. It’s a robust assessment of your ability and it will be a very tiring day. You need to bring your ‘A’ game to succeed. Let’s look at each element of the BDO assessment centre in more detail. Insider Tip: Expect to be presented with a ‘Fast-Track’ exercise. One group will complete this, whilst the other is carrying out the group exercise. The groups will then switch tasks, upon completion of the first. What’s the Fast Track exercise? This is an assessment of your problem solving skills and your judgement. The test is provided by CEB-SHL and you can find more about it by clicking here. You will be provided with 5 sets of cards. All cards in each of the sets will provide you with information. You will find that some of the cards will have blank spaces. The aim of this task is for you to work out what the missing information is. You will be given 30 minutes to complete the task. Can you work effectively as part of a team? Can you contribute you own thoughts and ideas? Can your group work together to solve problems? You will be provided with all of the required information and will be given 10 minutes so each group members can process it individually. You will then re-group and spend 50 minutes working together to resolve the situation. This task will be based on a business client so you need to have a thorough understanding of BDO’s services. How can I stand out in a Group Exercise? Group exercises can go one way or the other. They can be the highlight of your BDO assessment centre or the lowlight. What’s an in-tray exercise, we hear you cry! This is an assessment that BDO use, to establish your suitability for the role. It’s a business simulation. Acting as a member of staff and managing and prioritising your workload you demonstrate how you would process a fictional workload. Take the time to really give these four skills some thought. How could you demonstrate these in a simulation exercise? Make notes. Have a clear plan of how you will incorporate these competencies into your performance. Don’t skip the above step. BDO have told you what they’re looking for, so give it to them! If you’re worried about this you should take a look at our In-Tray Masterclass. It will walk you through a success framework that all elite candidates use. Ok, we’re about halfway through the BDO assessment centre. Let’s keep trucking. Be confident. This is easier to say than do, but you must project a capable and assured business persona. BDO is no place for shrinking violets. A great way to offset any nerves is to speak about your passion for the company and hunger for the role. Be positive at all times. No one on this Earth chooses to work with a moaner. Negativity is a completely forbidden character trait at the BDO assessment centre. Don’t whinge about how hot it was on the tube, or the traffic on the way to the venue, or the weather, or anything – you are Mr/Mrs Positivity! The BDO assessment centre presentation is one of the kinder ones – you will be provided with your brief before your arrival at the centre. Preparation is the key to success here. You will also be given an hour after lunch to write up your notes. Insider Tip: You will be provided with a flip chart. Use this to your advantage. Not just for re-iterating your key points, but also it act as a visual aid and a prompt for you. Your presentation is expected to last around 20 minutes. This may not sound very long, but you will find that you need a lot of material, to fill this time frame. Expect only one audience member, a BDO manager. How do I give an amazing presentation? Create a great presentation with concise information. Display your information in a creative way. There is much to learn when it comes to presenting information for an audience. Check out our guide: “How To Deliver A World Class Business Presentation“. This is a step by step guide that covers exactly what you need to do to create, display and deliver your BDO assessment centre presentation. 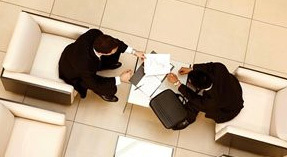 This interview will be conducted by a Partner at BDO and will last up to an hour. Interviews can be tough and are really a test of your nerves as well as your knowledge. 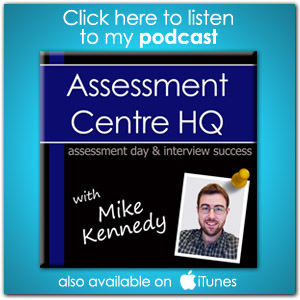 Prepare yourself as well as you can for this element of the BDO assessment centre and be sure to read through the ‘Interview Success‘ section of this site. Insider tip: Make sure that you have a great reason why you want to work for BDO. The interview is the last exercise at the BDO assessment centre. It’s time now to go home, relax and wait for that phone call. Have a good read through the BDO careers site. It’s got some genuinely useful and interesting videos. This BDO resource page gives you an insight into specific job roles. You can download the BDO Graduate Brochure here. We hope you enjoyed this free BDO assessment centre guide? 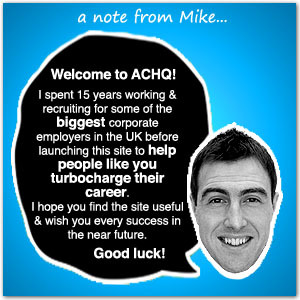 We wish you the very best of luck in your future career and at your BDO assessment centre.